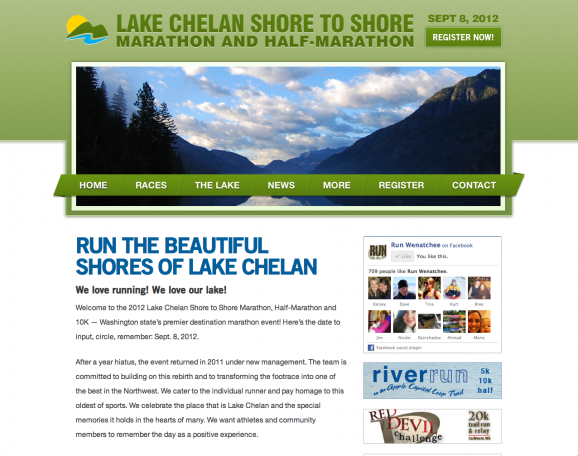 MANSON — The Lake Chelan Shore to Shore Marathon and Half-Marathon has announced the launch of its new website. 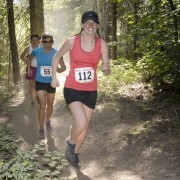 The site, which can be found at www.lakechelanmarathon.com, has detailed information on the marathon and half-marathon as well as the event’s 10-kilometer run. Runners and walkers can register by clicking a link on the site. Other content includes news stories, past race results, course maps, volunteer contacts, travel tips, and detailed lists of Chelan and Manson lodging establishments, wineries and restaurants. 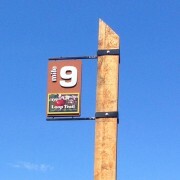 The site was designed by Apt Design of Wenatchee. Rhyner also has added a new member to his team — former Wenatchee World editor Steve Maher, whose extended family operates the Eugene (Ore.) Marathon, considered one of the top marathons in the country. Maher will oversee the Lake Chelan event’s marketing efforts. “Steve brings a wealth of contacts and knowledge on the sport of running that should benefit us immensely,” Rhyner said. 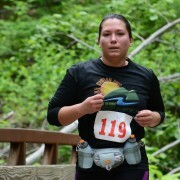 The Lake Chelan marathon, half-marathon and 10K will be held on Sept. 8. The mostly marathon and half-marathon courses begin on the lake’s south shore and follow the shoreline through Chelan and then on to Manson on the lake’s north side. The marathon, a Boston-qualifier, begins with rolling hills for the first few miles and then is mostly flat, while the USATF-certified half-marathon is flat. The 10K run begins in Chelan and ends in Manson.